Achieving an up-do hairstyle with a lace wig gives any full lace wig wearing individual great advantages of creative looking and beautiful up-do hairstyles their lace wig. The lace wig cap interior design must host either a stretchy material in the middle , an ear to ear stretch or full thin skin wig cap ,to wear the particular wig to create these trendy and fashionable up-do hairstyles . But what’s in the makings of an up-do lace wigs ? Which kind of wig interior cap style should an individual buy to create flawless updo re-styleable lace wigs for flawless wear ? There are several lace wigs in market to create these sleek updo hairstyles. As well full polyurethane wigs ( Thin Skin Wigs), where one can customize or purchase in stock Thin Skin Wigs to create quick high ponytails and other fashionable updo hairstyles. Which Wig Cap Style Is Best For Updo Restyling? Full Thin Skin Wigs – Mainly worn by women who suffer from full hair loss. For those whose hair loss is circumferential choosing the alternative wig cap style Full Lace Wig with Thin Skin Perimeter. These wigs gives the most flawless appearance and is highly undetectable when the “pu material “ is matched with purchasers complexion, and wig cap measurements must be precise especially for the full cranial thin skin wig cap which host no lace material. Full Lace Wigs – A great updo lace wig cap design . With its freestyle parting options a wig wearer can part in virtually any direction and create any hairstyle once properly applied with either wig tapes and or lace wig liquid adhesives. An individual must know they may go through several different Wig adhesives as everyone’s body chemistry is different and the best results in securing your lace wig will take a small trial and error testing period. Silk Top Full Lace Wigs – These lace wigs just like Full Lace Wigs can create endless hairstyles, with freestyle parting. The bonus with this wig cap is its 4×4 inches “ hidden knot “ feature which gives on lookers the illusion of a realistic scalp. Once applied properly it’s virtually undetectable to anyone that you’re wearing a wig. Why many choose Lace Wigs that can create updo styles? For those lace wig wearers who have a physically active lifestyle from work, gym activities and several other physically required daily activities. It’s great to still look stylish with any of the lace wigs and create a high ponytail, or updo bun hairstyle to keep the hair out of the way while one is working out at the gym, jogging or doing housework. Re-Styling adaptability: Additionally, due to the these unique internal wig Cap’s design, you can part your hair anyplace you need without stressing that an ugly base will be obvious to other individuals. Freestyle Parting simply means “the wig wearer, can move the hairs freely and make multi-directional partitions”. 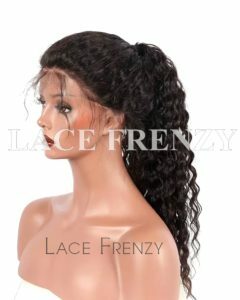 Whether choosing lace wig tapes , liquid glues and other securing methods like adjustable straps and combs is all based on the individual comfort level. 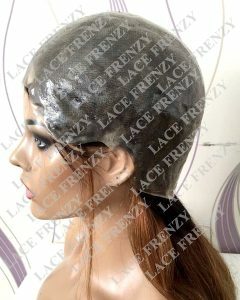 When choosing lace wig tapes and liquid glue will give you styling option of very high “up-dos ” . It’s always advisable to seek a professional hairdresser to assist with applying your lace wigs until you’ve gained the appropriate learning curves to installing your lace wig. Say goodbye to boring wigs that only allows a one style appearance and give yourself the lace wigs that allows endless restyling and updo hairstyles. This entry was posted in 360 Frontal Wigs, Full Lace Wigs, Full Thin Skin Wigs, Hair, Human Hair Wigs, Silk Top Full Lace Wigs, Thin Skin Perimeter Wigs, Virgin Hair Lace Wigs, Wig Knowledge and tagged 360 frontal wigs, full lace wig with thin skin perimeter, full thin skin wigs, human hair full lace wigs, Silk Top Full Lace Wigs, updo lace wigs.